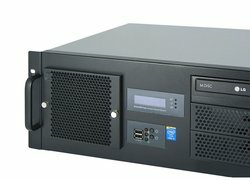 The Koala S8.1 is a robust and versatile 19-inch 4U rack-mount server system for a wide range of applications. It is based on the latest intel "Haswell" processor-generation as well as high-quality components by Asus and Kingston and comes with integrated dual gigabit network ports and an integrated firmware RAID. 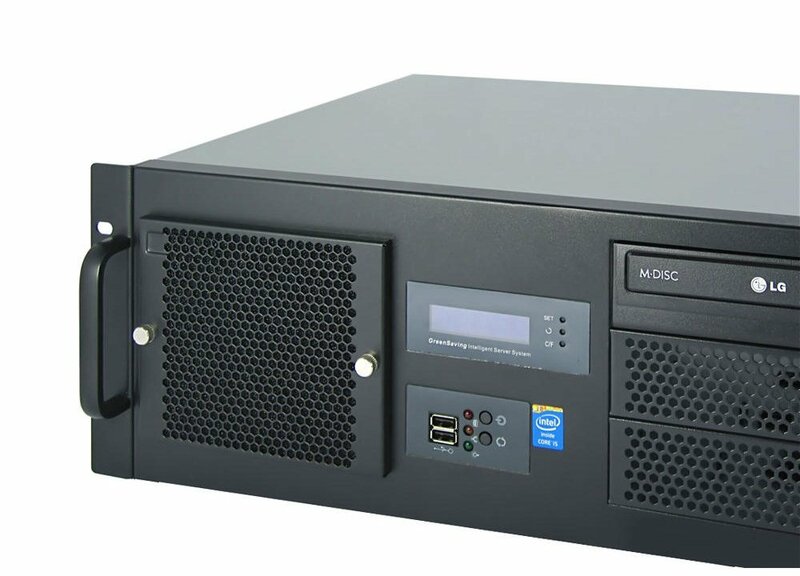 Best of all: it is extremely compact in size - with a chassis-depth of only 38cm for this 4U rackmount-case. This item is EOL (end of life). You are looking at a page from our product-archive. The system includes all modern standards like USB 3.0 ports, five SATA-600 connectors and DVI-D/DVI-I/Displayport graphics-ports. 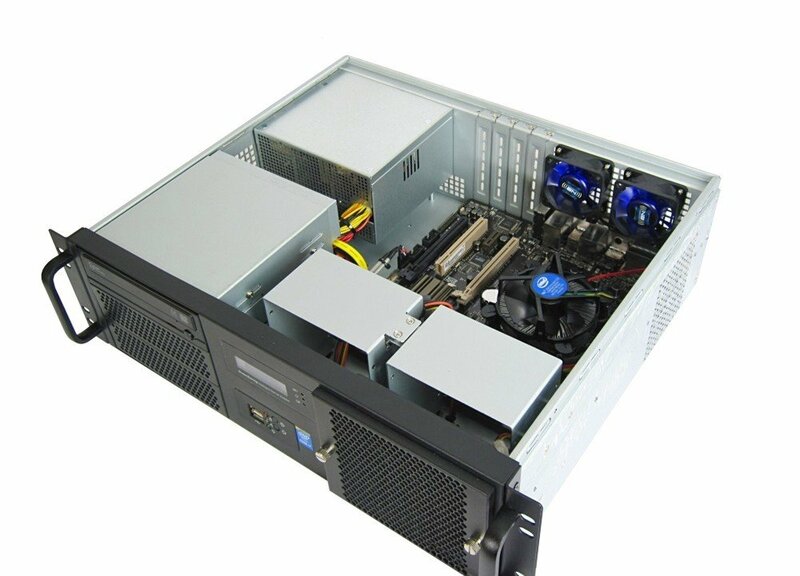 It is also equipped with integrated dual gigabit LAN and optimized for 24/7 operation. An extremely solid Asus CS-B mainboard from the "24/7 commercial series" by Asus is the backbone of the system. 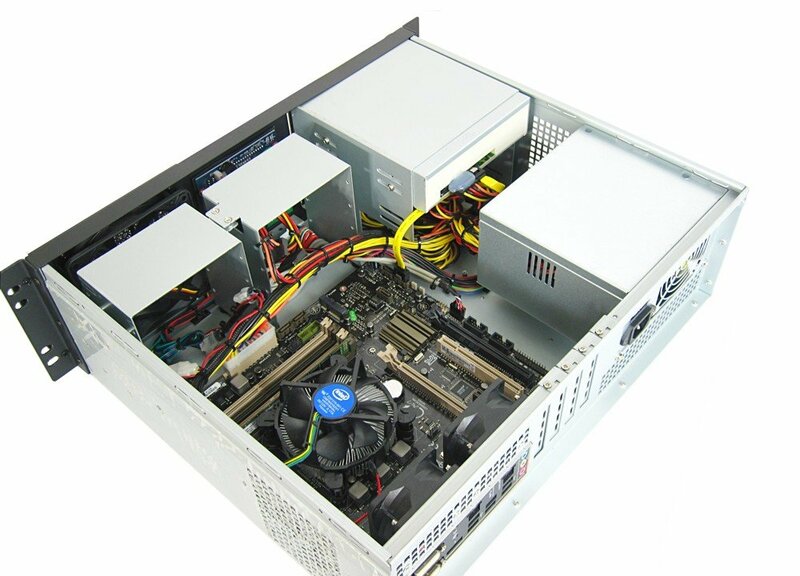 In its most basic layout, we ship this system with the newest intel Core i5-4440 quad-core processor (4 x 3,1 GHz) as well as 8GB DDR3-1600 Kingston RAM. As an option, the system can be equipped with different processor-types and memory configurations of up to 32GB RAM. Different types of harddisks or SSD-drives can also be included into the system with the options below. A SATA DVD-burner is already part of the basic layout of the system. If you are interested in a configuration of this system that is not listed in the options below, please contact us directly. We will prepare an individual offer for your desired system layout then. After system-assembly, the completed system receives an extensive and thorough system-test before being shipped. Included in the scope of supply are the complete mainboard-accessories including the manual, a power-cord (please contact us if you need a special cord) and several short-length SATA-cables for hassle-free cabling of your devices. The previous description of the system is the basic layout - you can choose between different configurations of your system below. Please not that the system does not include an operating system. - RAM: four slots for DDR3-1066/1333/1600 modules up to 32GB max. The system will be delivered in a specially padded secondary box around the inner box.